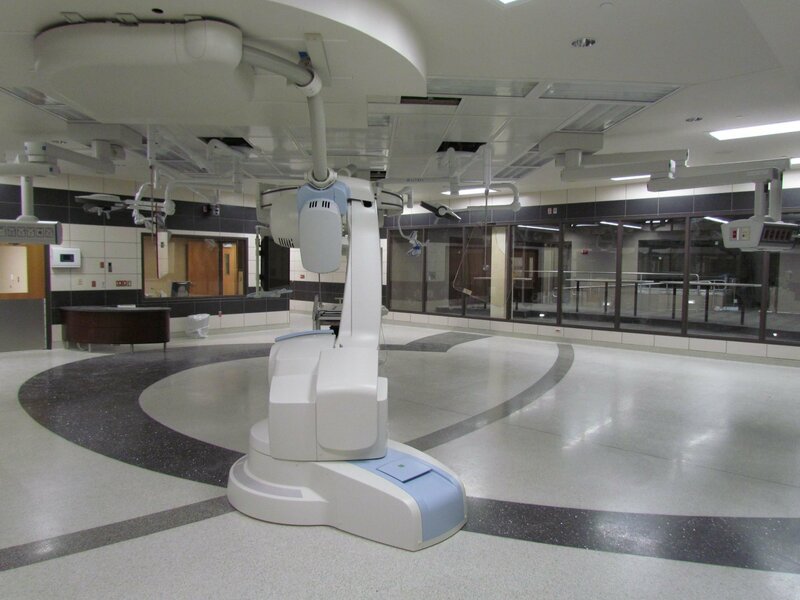 The new Tyner Center for Cardiovascular Interventions at Beaumont Hospital in Royal Oak, Michigan is a new high-tech, hybrid operating room and observation room. The center combines the latest technological advances in patient care with the ability to teach and educate other medical professionals around the world. The center opened December 14, 2012 and was built between March and November of the same year. 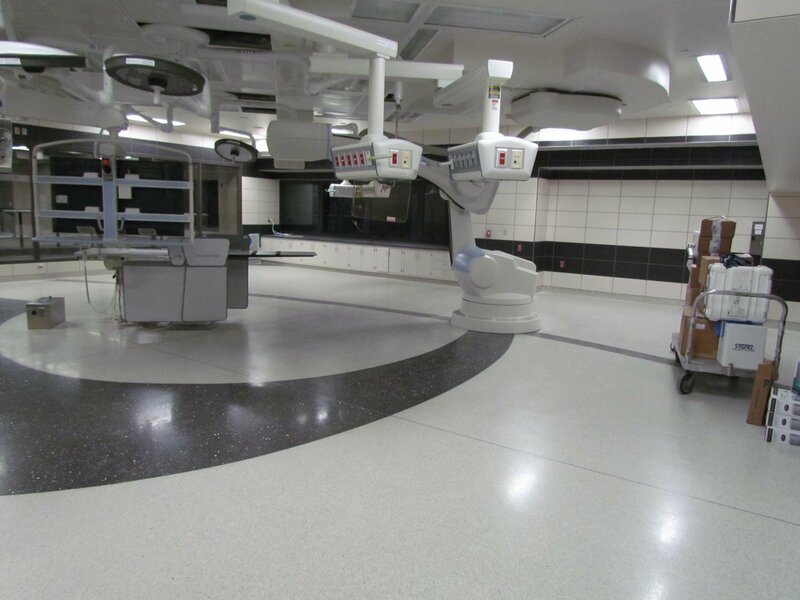 The 9,000-square-foot center contains a 1,600-square-foot operating room and an 800-square-foot observation room. CCC provided general trades to Kasco, construction manager for the project. We complete the shell and interior architectural finishes, including interior framing, ceilings, floors, studs, drywall, drywall finish, door/frames hardware and wall protection. 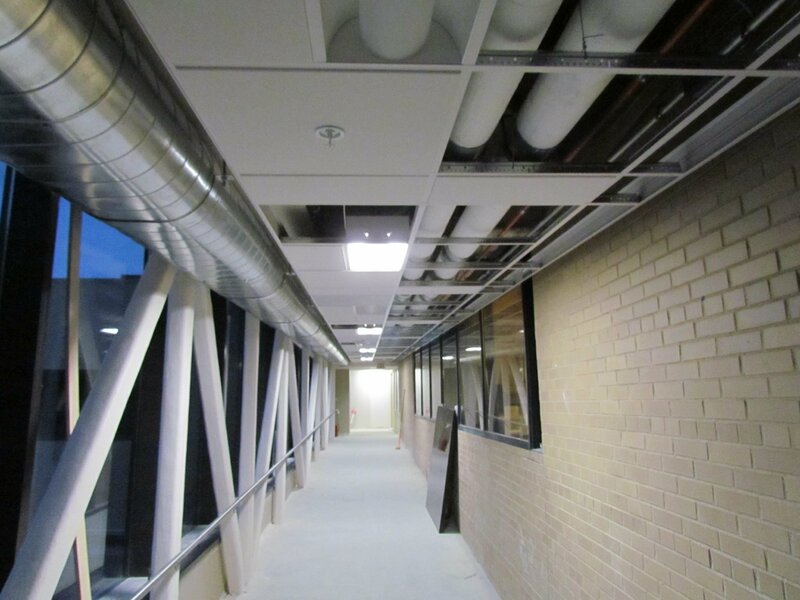 All work was self-performed by CCC except for EIFS and fire proofing which two subcontractors were used for. Over 4,800 man-hours were logged on the project with no safety issues. The Tyner Cardiovascular Center has become the largest teaching surgical center in the country to date. 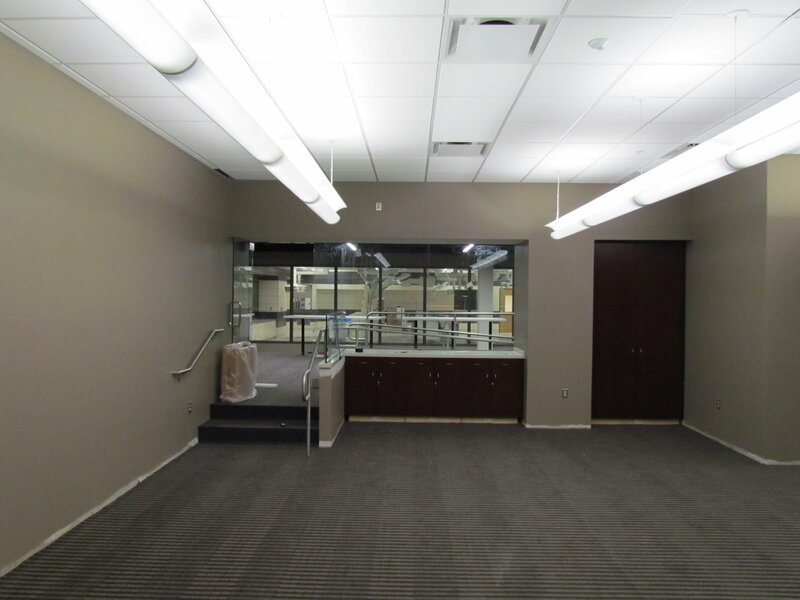 Work included metal studs, drywall, acoustical ceilings, doors, frames, hardware, specialties, wall protection and expansion assemblies. Over 1,700 man-hours were logged without a single safety incident.